Another page within a week? Unheard of! I'm only working part-time at the moment, so I have more time to devote to the comic. 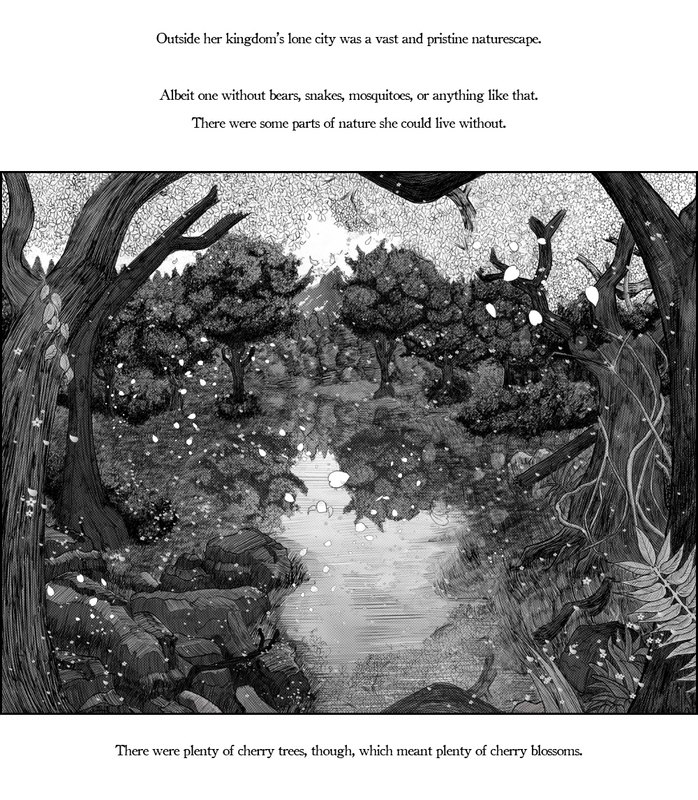 With this intro section mostly done, though, the text-to-images ratio will probably be increasing at this point: an elaborate image with four or five lines of narration just isn't moving the story along fast enough.